Please note: if you miss a ferry and can not make it (back) to Flørli, we can not pick you up! Plan well – make it to the ferry in time! Baggage transport on the ferry is possible! Tell us and we’ll unload it for you in Flørli. Plan roundtrips with kayaks or hut-to-hut trekkings! Possible from Flørli on weekdays only! 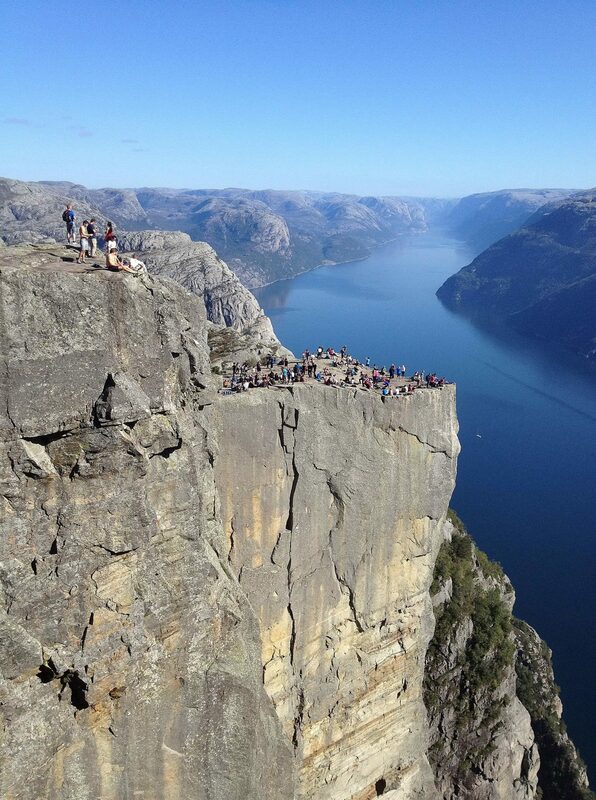 With over 250.000 visitors each summer, the Preikestolen is the ultimate must-see icon of Fjord Norway. It is possible to get there and back from Flørli on weekdays only. Read more about Preikestolen here. Take the early Kolumbus ferry to Forsand, arrival 08:20am. 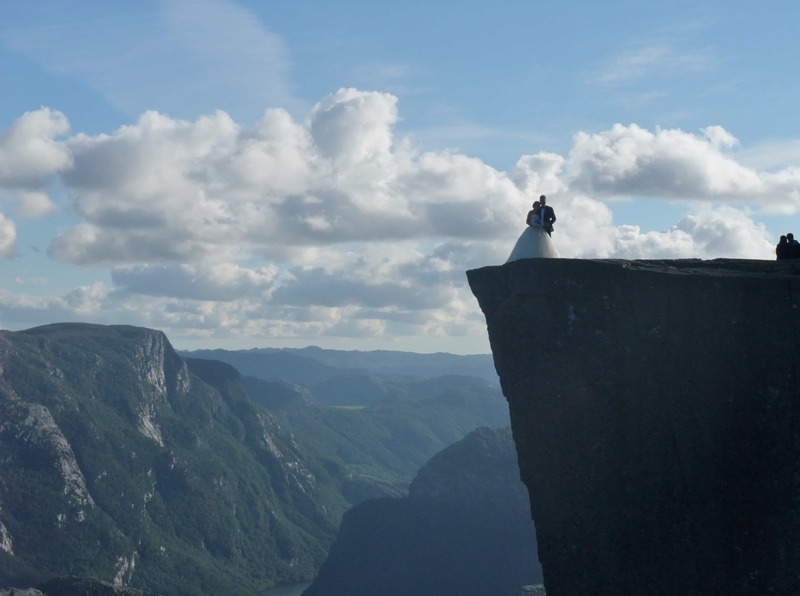 Take a the bus to Preikestolen parking, arrival 08:50. Hike 2 + 2 hours, back at parking between 13:30 and 14:40. Take the bus back to Forsand, take the Kolumbus boat back leaving at 14:00 or TheFjords ferry leaving Forsand at 15:10. Please note: Kolumbus boat not going on saturdays, whereas on fridays and sundays there is another boat leaving Forsand at 16:50. 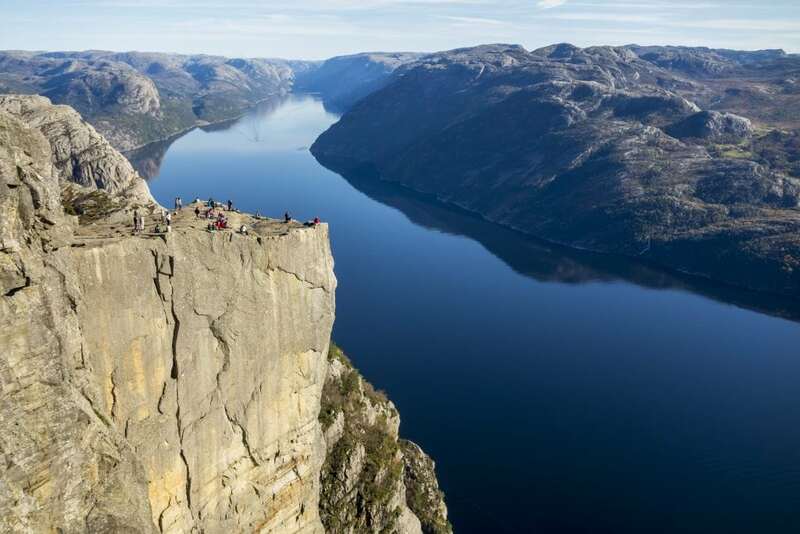 The Preikestolen Bus is operated by Pelles Reiser and runs every day from 1st april to 31st september. 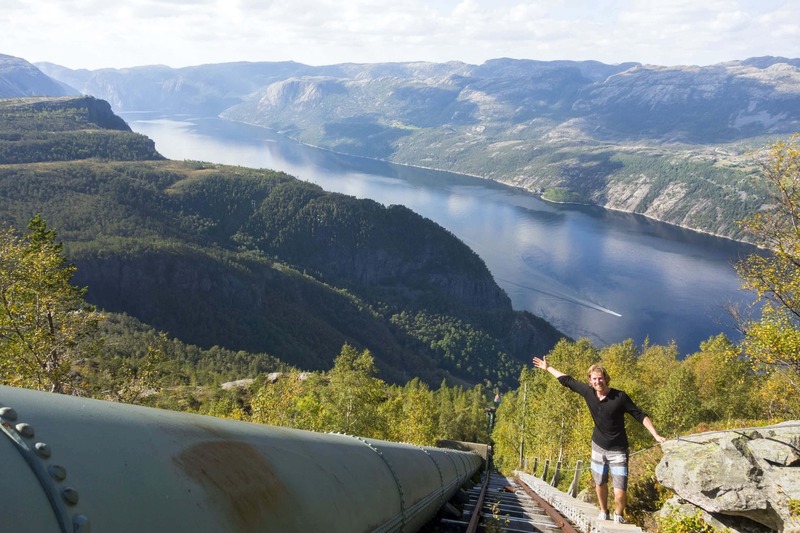 Contact Pelles Reiser tel 0047 97526609 to reserve – single 120NOK, roundtrip 200NOK. An alternative bus service is offered by Boreal, departing Forsand ferry terminal 08:25am and arriving Jørpeland 09:20am. 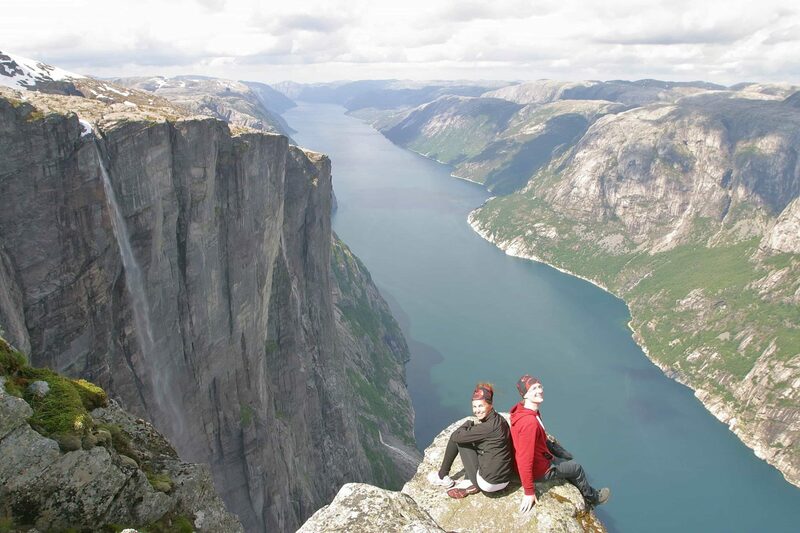 In Jørpeland, switch busses to Preikestolen where you will arrive at the trail head around 10:00am. Boreal schedule here. There is no afternoon Boreal bus back, so you then have to take Pelles Reiser or a taxi to Forsand. If busses don’t operate, you can also order a taxi minibus from Atle Farbrot Bjørlo tel 0047 47506050. Possible every day in summer, but best on a weekday. 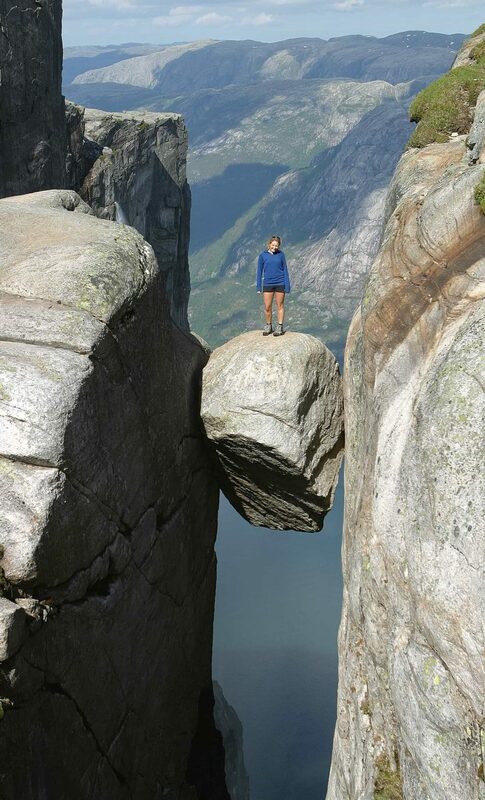 With over 80.000 visitors each year, the Kjerag and Kjeragbolten are the other prime sights of the region. You will enjoy seeing the basejumpers “exit”, hanging your head over the 1000 metres vertical wall or pose on the boulder wedged above the abyss. More info here. 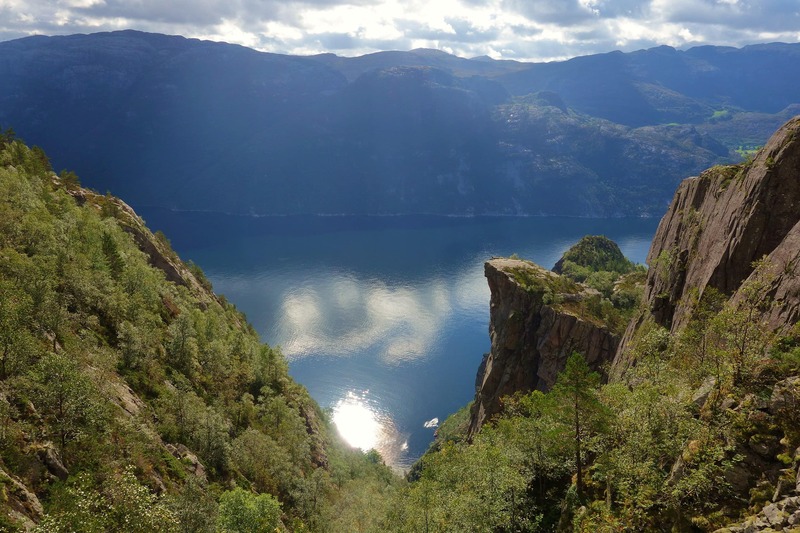 Take the early Kolumbus ferry to Lysebotn, arrival 07:15am or the Tourist Car-ferry with arrival 11:30am. Taxi shuttle or hitch a ride to Øygardstøl parking, arrival 07:45 or 12:00. Hike 5 hours (3+2) roundtrip. Taxi shuttle or hitch down. Kolumbus ferry leaving back at 15:30 or TheFjords leaving Lysebotn at 18:00. 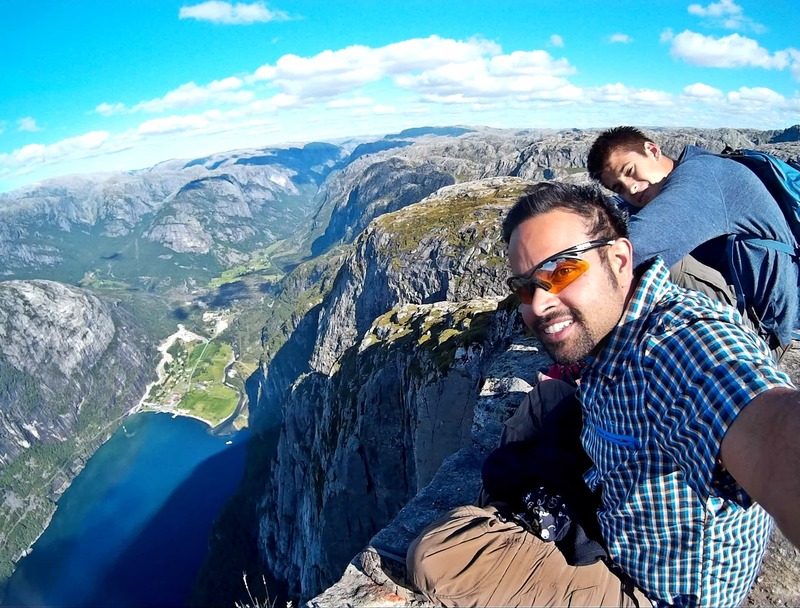 Kjerag is best visited on a weekday. 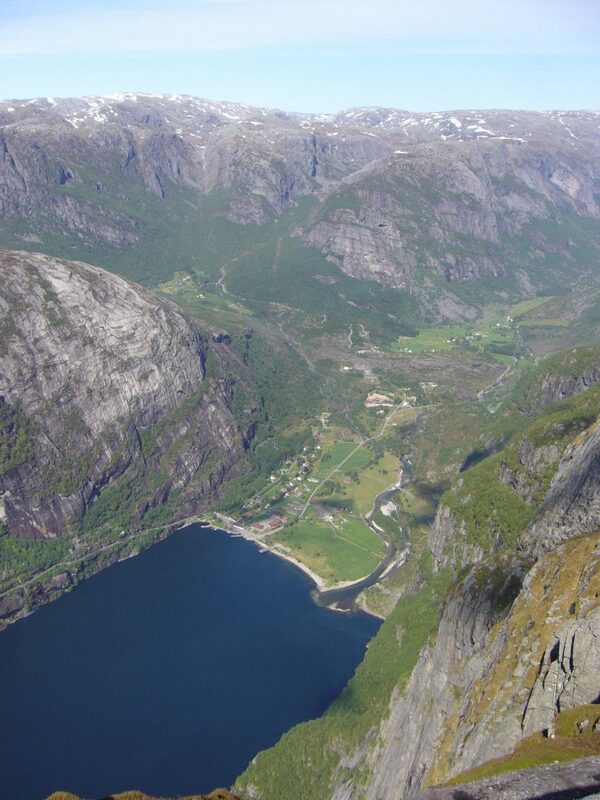 Please note: on fridays and sundays, Kolumbus has an extra departure from Flørli to Lysebotn at 17:45. 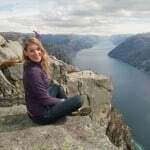 How to get from Lysebotn ferry quay to Øygardstøl (Kjerag parking) without a car: Stavanger Baseklubb SBK offers a shuttle-service in june, july and august 150kr pp each way. Read schedule here. 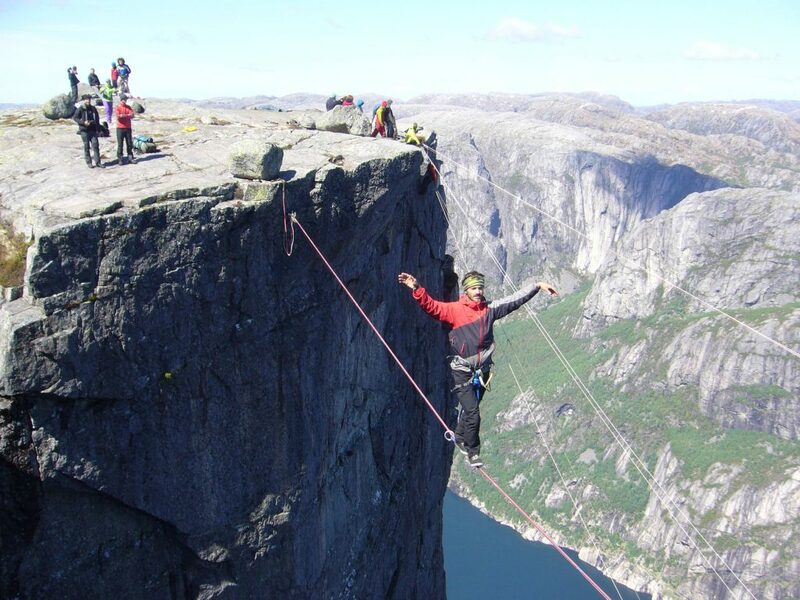 You can also quite easily hitch or call for a taxi: Hauane Bed & Breakfast and Kjerag-Lysebotn Camping & Resort. 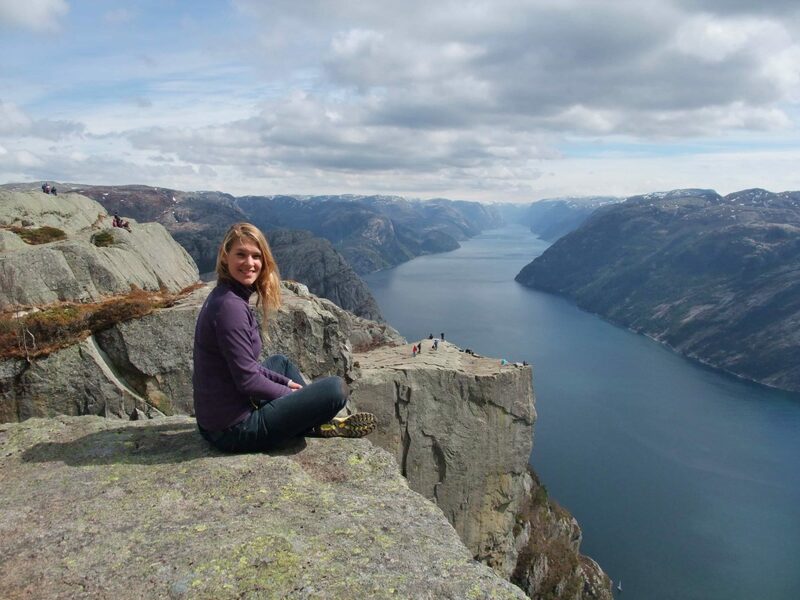 Hike the scenic northern rim of the Lysefjord! One long day or two days with tent. 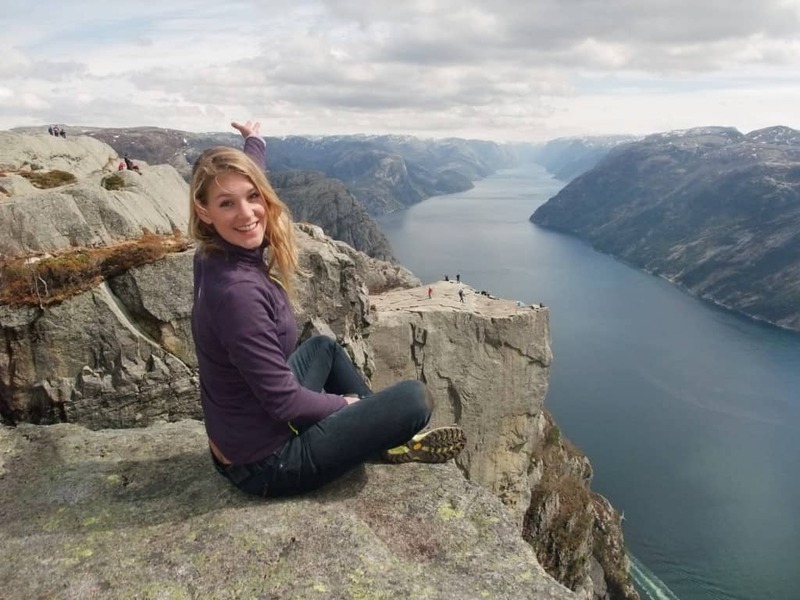 A popular hike and for good reason. 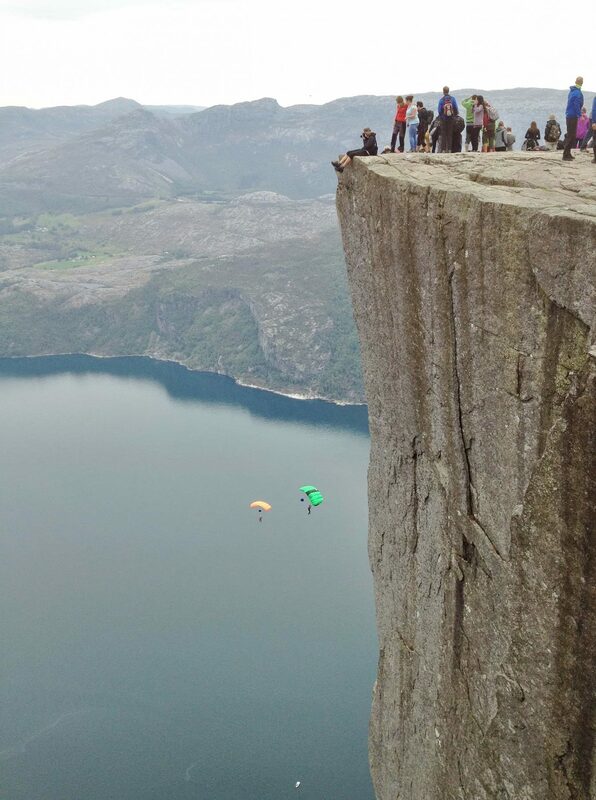 Visit Preikestolen and Hengjandenibbå (the mini-Preikestolen). This is a long hike in demanding terrain. 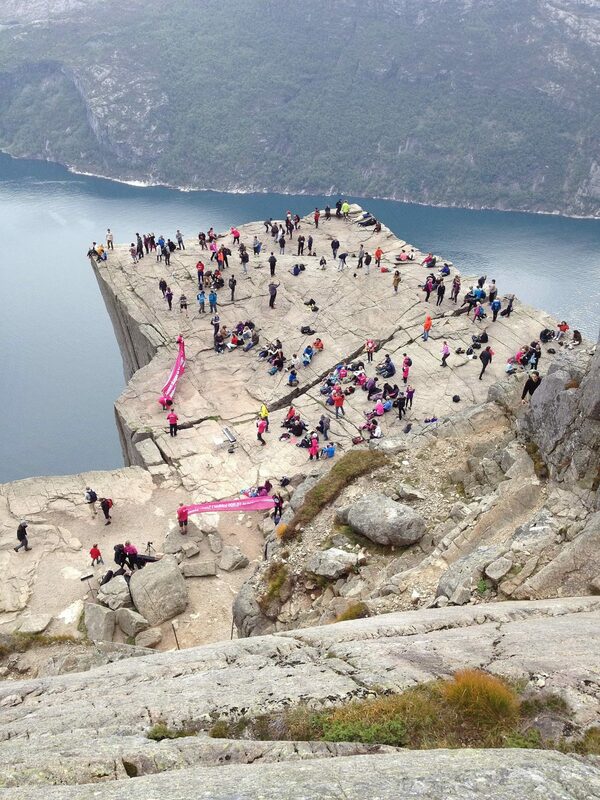 Bring a tent and see it all or skip the Preikestolen detour and head straight for Bratteli quay, 7hrs. Map and GPX file here. Leave early and make sure you are at Bratteli around 14:10 to catch the Kolumbus ferry to Flørli. You need to prebook this ferry! 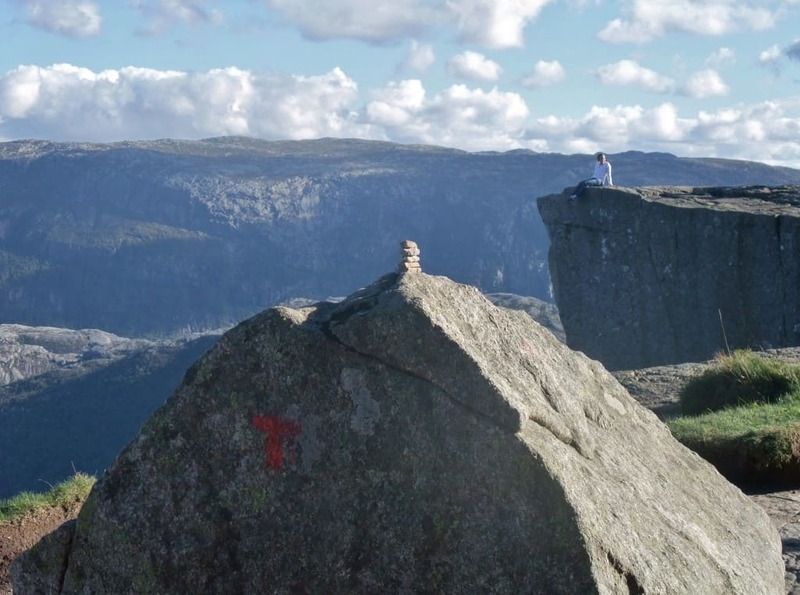 You can also hike on to Bakken, the cabin of the Stavanger Trekking Association (STF), just an hour further from Bratteli. There is a ferry quay there as well from where you can go to Flørli the next day. 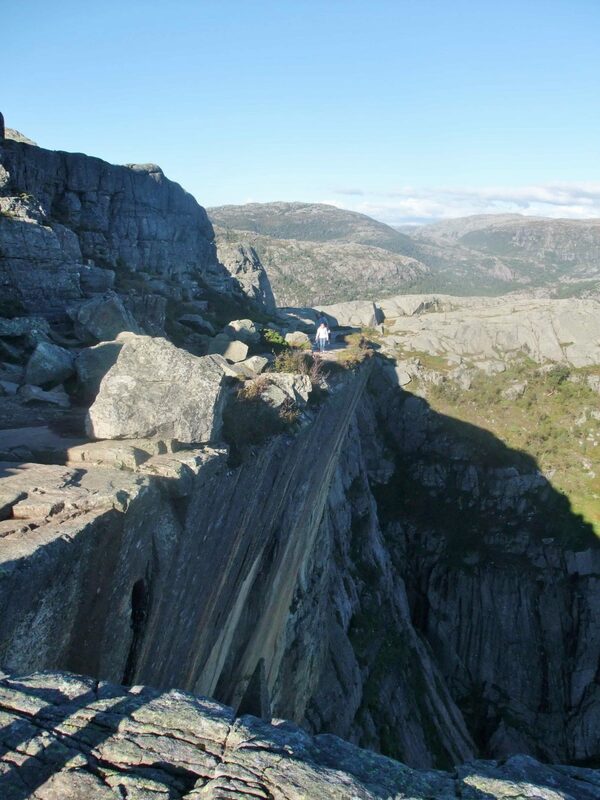 Yes, it is possible to hike directly to Kjerag from Flørli instead of the regular daytrip from Øygardstøl described above. 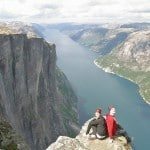 You’ll spend two days in awesome highland terrain or one very long day for very fit people only. 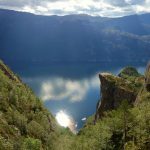 The trip starts with the famous 4444 stairs, then across undulating treeless highlands, through grazy valleys amidst rocky outcrops, to the stunning highlight of the big walls and the eagle view of the fjord. Map and GPX file here. 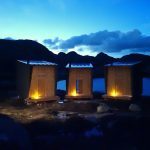 You need your own tent or hike on to Langavatn cabin of the Stavanger Trekking Association STF. Flørli to Langavatn: 16km, 8hrs. 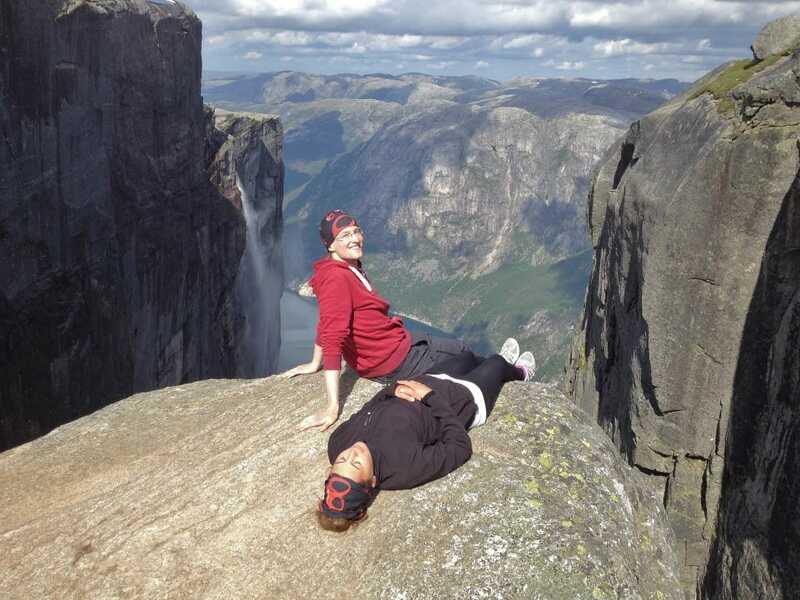 Langavatn to Kjerag and on to Øygardstøl: 11km, 5hrs. 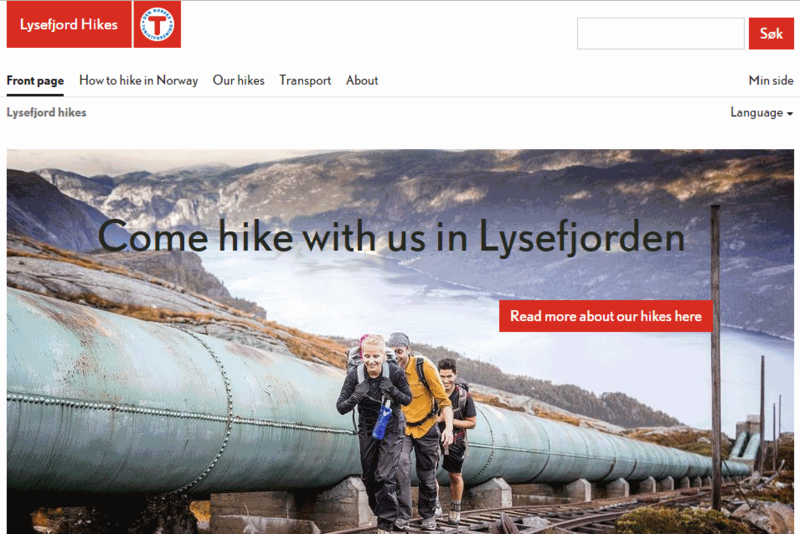 Popular 5 hour hike that takes you from the parking in Vinddalen via Skåpet and all the way down to Flørli: 12km, 5hrs. Map and GPX file here. 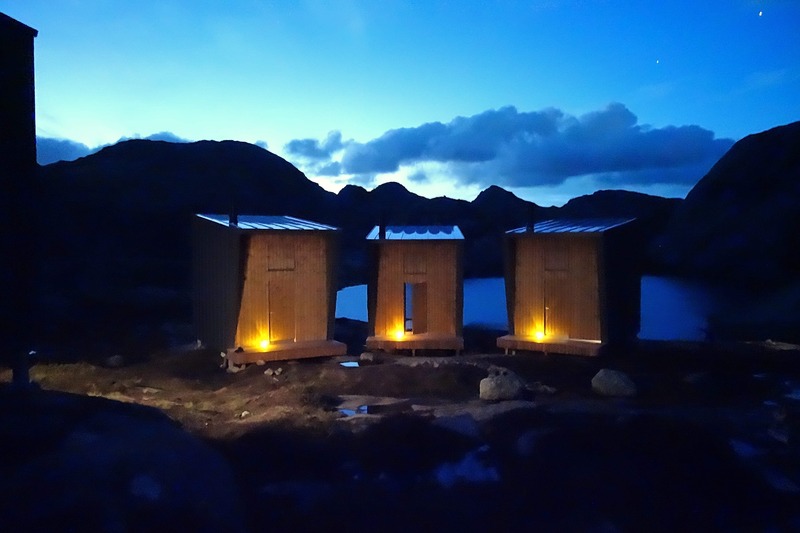 From Vinddalen, the path follows a river, then the valley opens up at Skåpet where you see the new modern mountain lodge of the Stavanger Trekking Association (STF) in its picturesque setting (see picture). 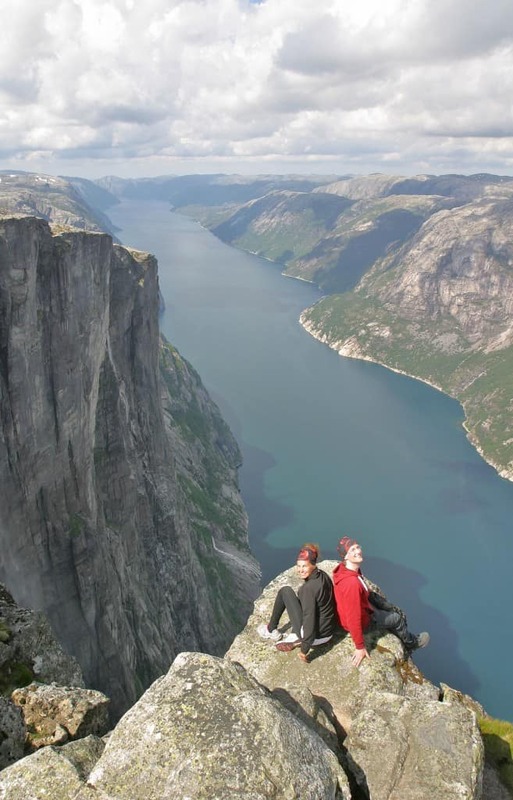 Many choose to stay overnight here, but you can do the itinerary as a dayhike. 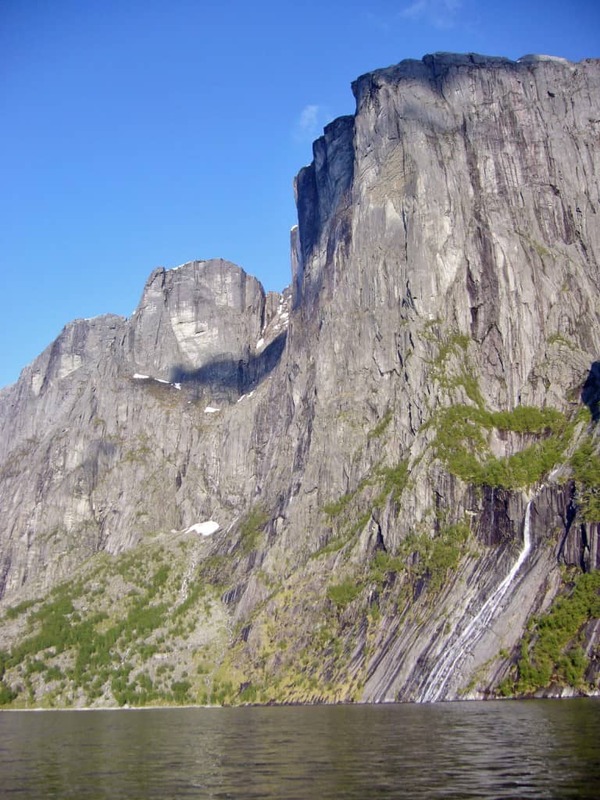 As you continue past Skåpet, the path enters the barren highlands with grazy valleys and rocky outcrops. 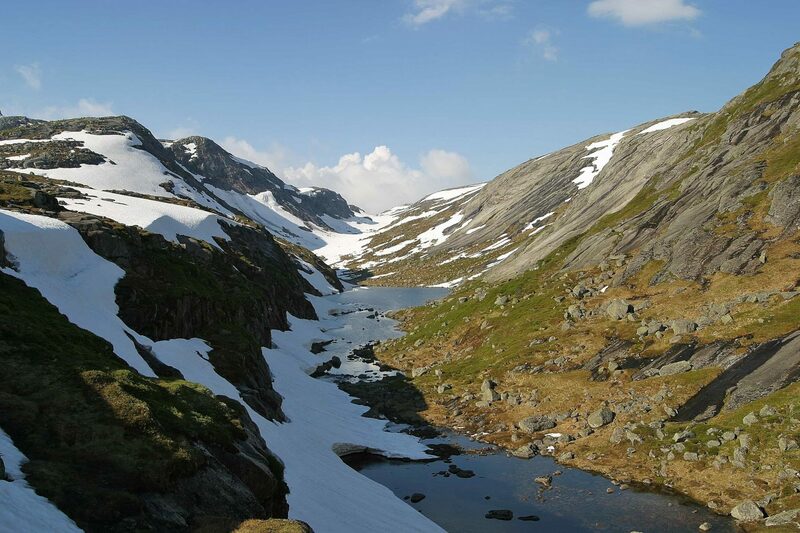 The descent to Flørli is boggy, but you are rewarded with wide scenic panorama’s. You can ask Pelles Reiser to put you off in Vinddalen. 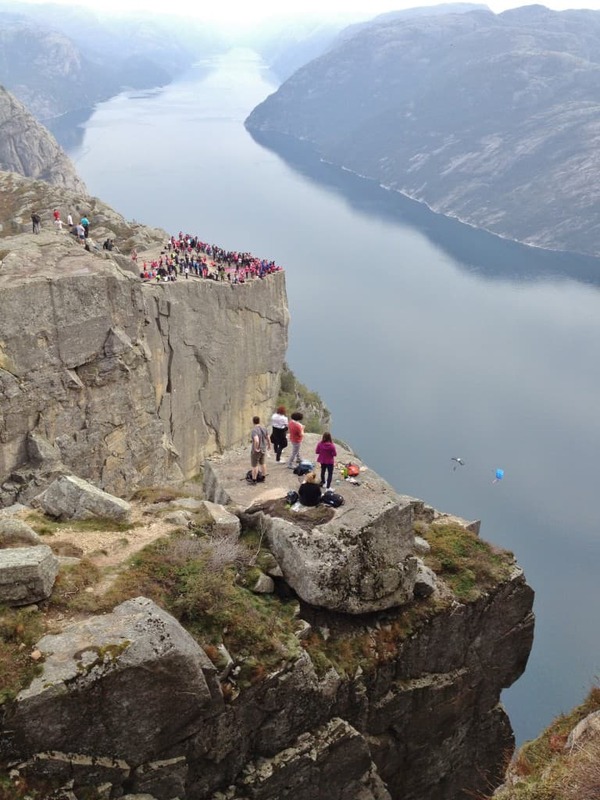 Preikestolen: start hiking before 9:30 am and beat the crowds. 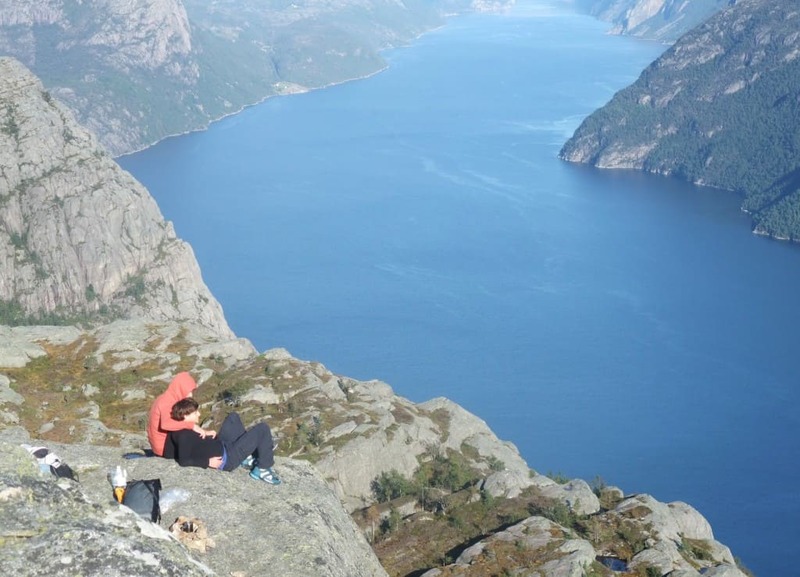 Hike up swiftly, so that you can have a long break at the summit and make it back in time for the ferry. 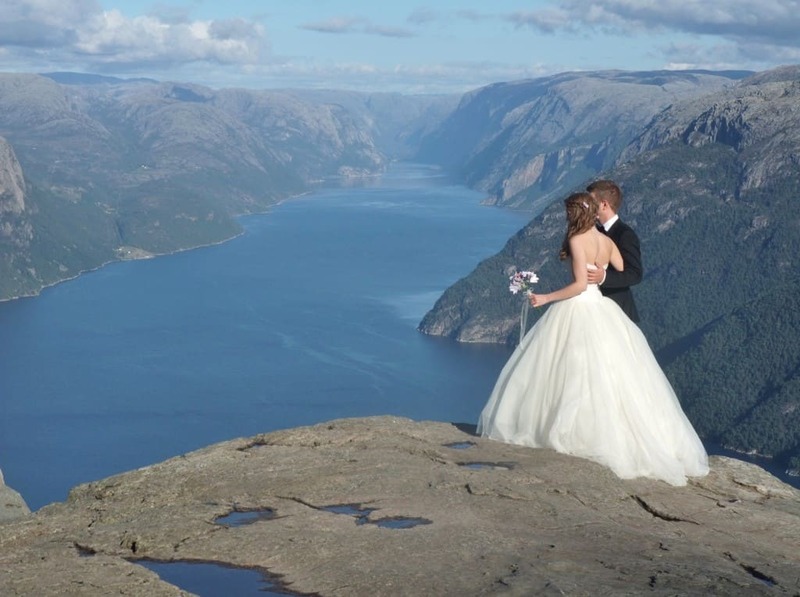 Pelles Reiser offers an excellent shuttle service from Forsand quay to the parking at Preikestolen. Parking fee for cars at Preikestolen about 200kr. 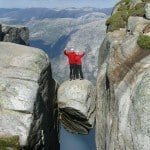 Kjerag: psychologically demanding hike, up a steep crest with chains to hold on to and two valleys to cross on the way. Possible to miss the path and get lost on the top of the mountain under foggy conditions. 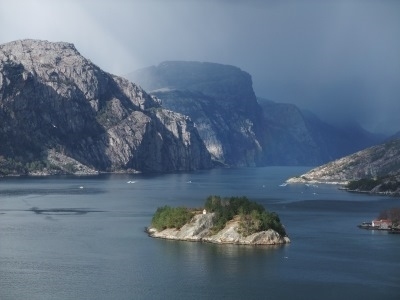 Highland terrain: sudden rain, fog and fierce winds are common. 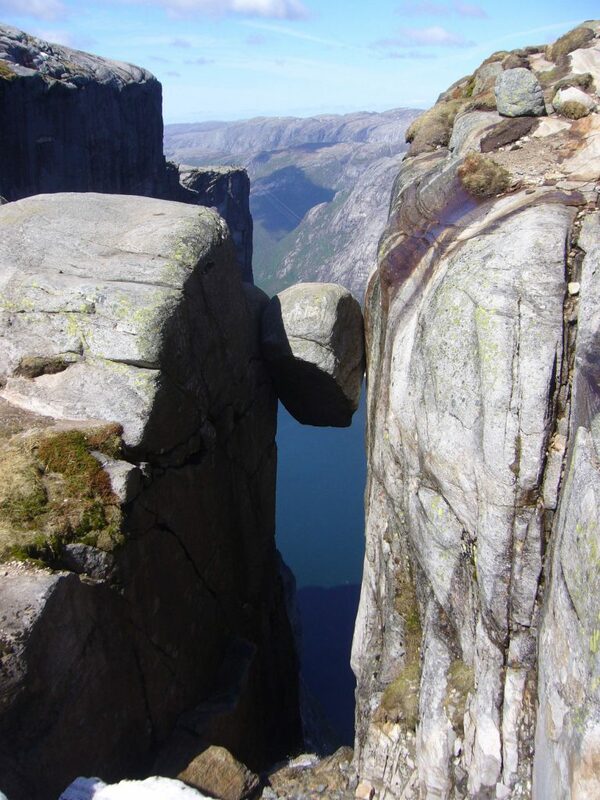 Parking fee at Kjerag about 200kr. 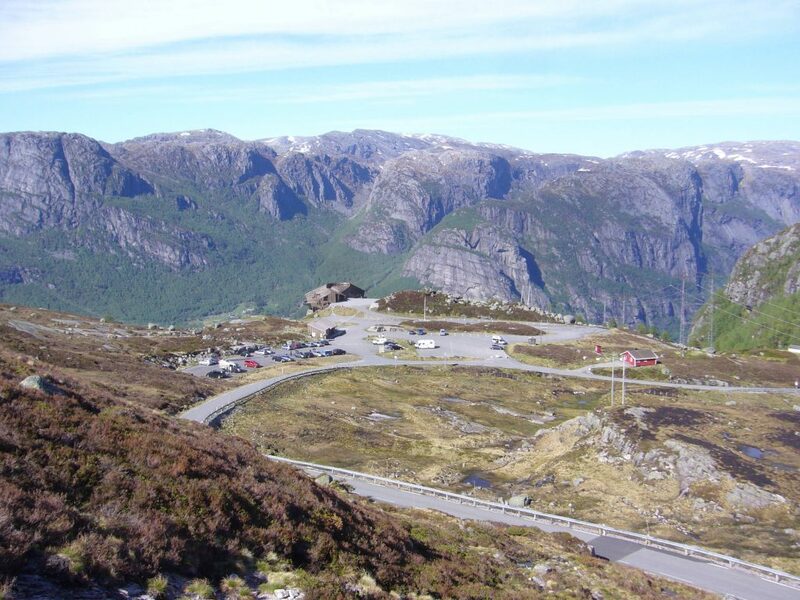 There is no shop or fuel station close to Kjerag or in Lysebotn, restaurants yes! 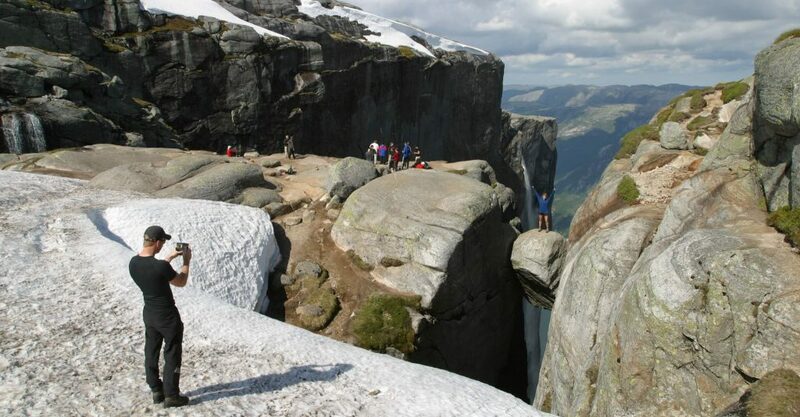 Kjerag is closed due to snow in winter, from about middle of october to around the 15th may. Free toilet at the parking. 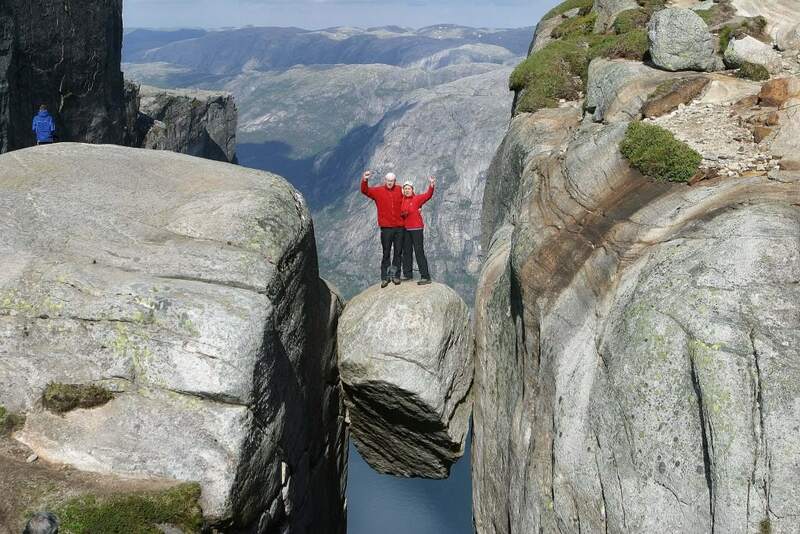 Hitch-hikers can quite easily get a lift between Kjerag parking and Lysebotn ferry quay. 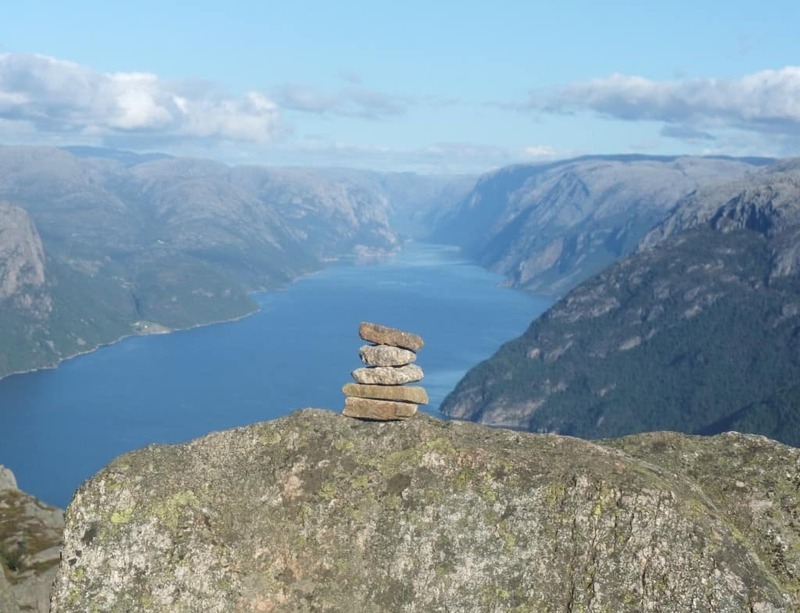 Around the Lysefjord: you can hike around the Lysefjord in multiday hikes. Very worthwhile! 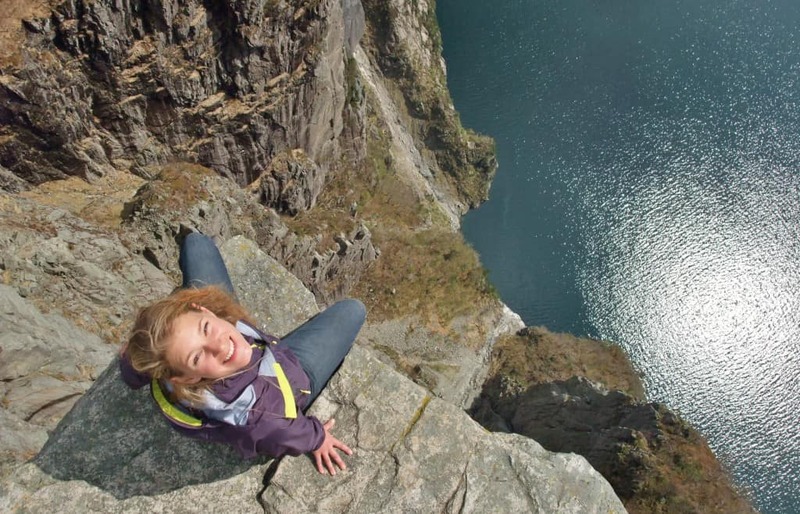 Bring a well-fitted backpack, waterproof hiking shoes and warm, wind-blocking clothes. 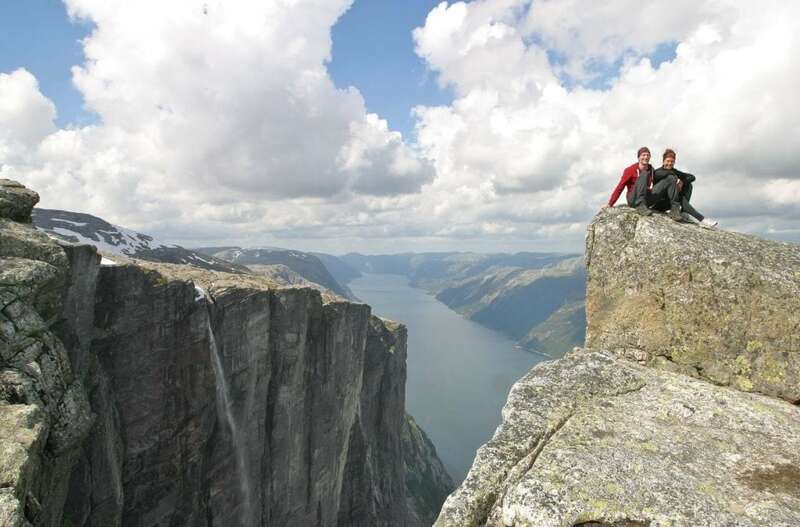 Average hiking speed may be as little as 2km per hour due to the demanding nature of the terrain! 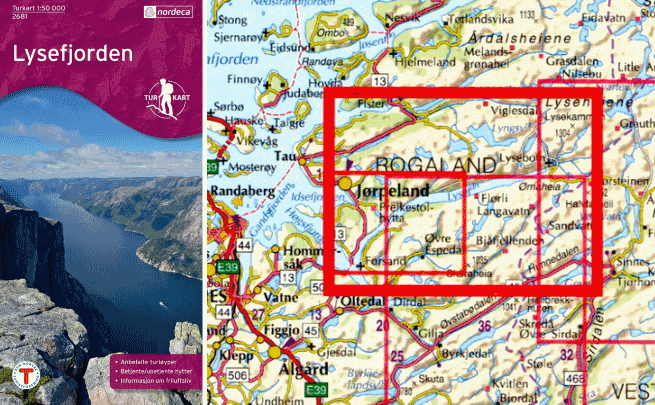 You need a topographic map 1:50.000, can be bought in the Flørli café. Book ferries in advance, mobile coverage varies and ferries may not stop if you haven’t booked. 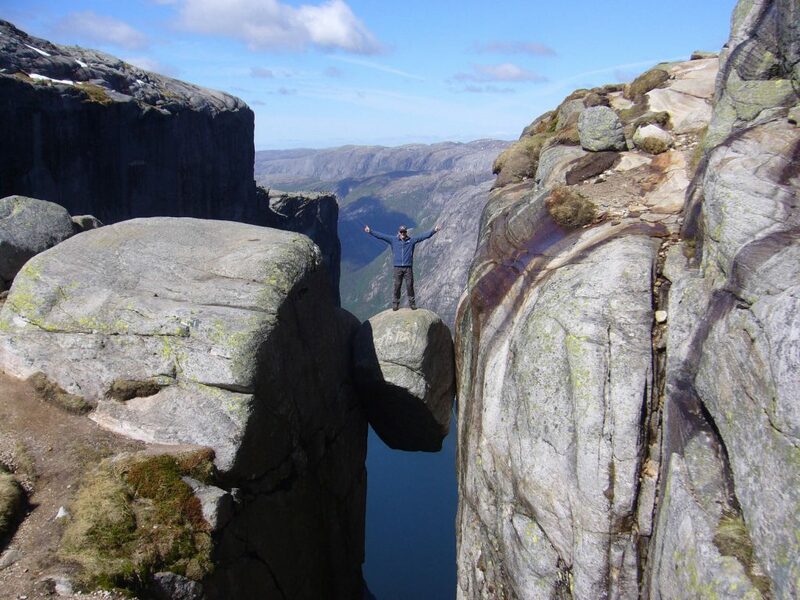 Note that hiking paths in Norway are generally rocky or boggy and uneven. They are marked with cairns and red T’s. You need to be fit to undertake ambitious hikes around the fjord!